Star Trek WAS my scifi when i was a kid and later as a young adult. Star Wars was something I had to wait years to see, as my parents were on a tight budget, but Star Trek reruns were on the TV all the time. Modiphius Entertainment has had some very nice releases and I have high hopes for their Conan RPG which I backed on Kickstarter. Strangely enough, Star Trek Adventures WON'T be Kickstarted, but it will be available as a preorder. What does Star Trek Adventures cover? Hot damn! There is simply so much material to mine for adventures. Will there be Living Campaigns once the game comes out? 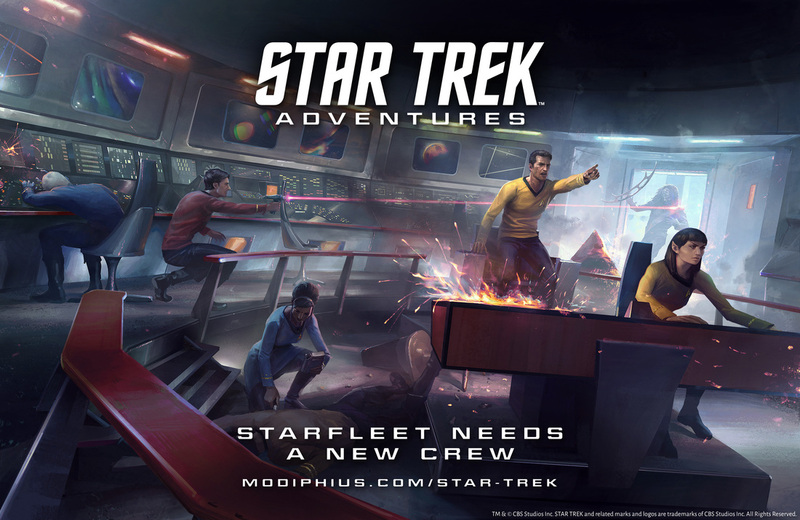 There will be Star Trek Adventure Living Campaigns running each year with organized play events in stores and special events at major conventions. Do you know anything about the 2d20 system they're using for this? Conan looked a touch game-y to me. They have the guy who designed Star Wars: Edge of the Empire (Jay LIttle) working on this 2d20 implementation. Should feel something like Edge of the Empire or Cortex Plus Firefly, sort of a modern story-game flow to much of the game, but with enough crunch to keep it interesting over the long term. I personally think this is a great fit, but it won't be a d20 traditional style game. I guess if you want a crunchy Traveller-ish approach to your Trek gaming then the FASA version is still out there. If you want the old school approach then Spaceships & Spacemen is still actively supported and there are also conversions of White Star and The Black Hack.